ULTIMATE NINJA UK was always intended to provide the authentic Ninja obstacle course experience to as many budding ninjas as possible, regardless of age or physical ability – and we love to see everyone from excited 8 year olds to our more ‘mature’ clients having a go and achieving more each time they visit. 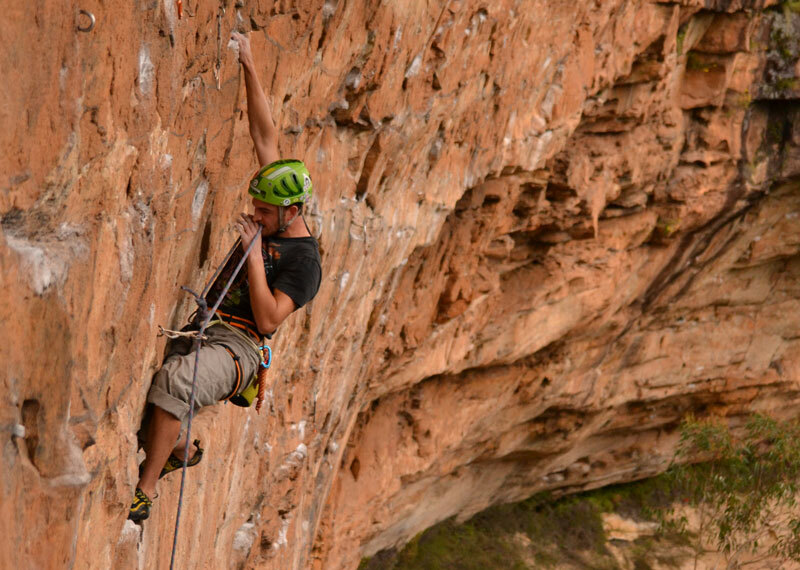 Fans of ITV’s hugely popular Ninja Warrior UK will probably recognise Fred as the nimble, didgeridoo playing, kangaroo sporting, Aussie boat builder who made it all the way to third place in the Series 3 final. Known by many as an elite Ninja athlete, Fred comes from a very active background – he was a successful competition level swimmer and baseball player in his teens, and is now into yoga, calisthenics and generally ‘mucking around outdoors‘ – his main focus is rock climbing, something in very short supply on the Essex coast, where he has lived for the past 5 years. Having studied engineering at Uni in Australia and trained as a carpenter, Fred has now joined a highly skilled group of boat-builders that are a tradition on the east coast (of England!). Fred’s engineering/ninja skills are being put to combined use at Ultimate Ninja UK – helping to keep the obstacles fresh and challenging. 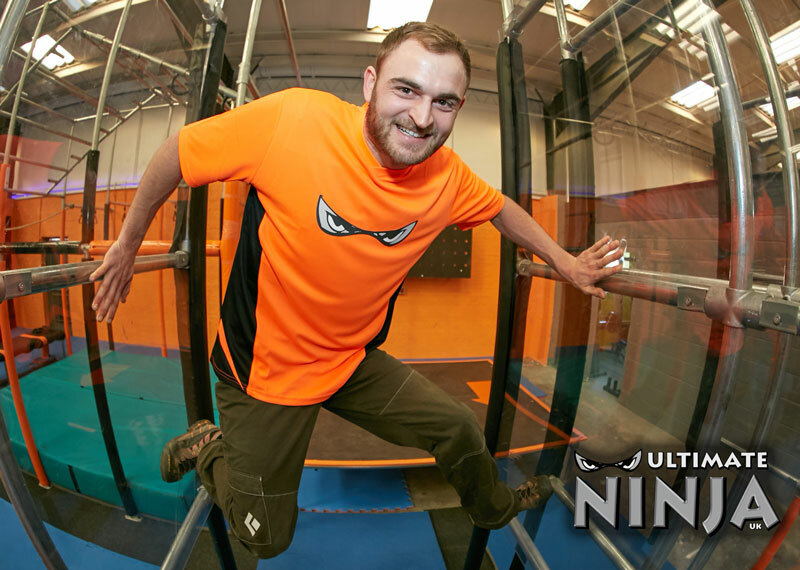 Whether you’ve followed Fred on TV or not – you won’t fail to be impressed by his strength, agility and balance if you see him during one of his regular training sessions at Ultimate Ninja UK. Better still, why not take the opportunity to learn some of Fred’s techniques by joining one of our Saturday morning Ultimate OCR Ninja Bootcamps! TRISTAN STEED - MULTIPLE SPARTAN RACE WINNING OCR SUPERSTAR! 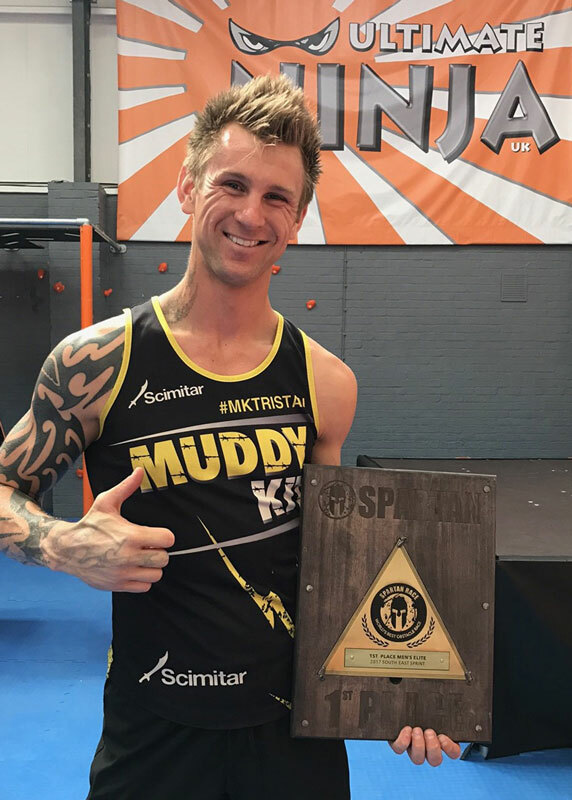 The current Spartan Race UK Champion, UK OCR Champion and winner of the Commando Speed Race (breaking the course record of 18 years), first in the Bear Grylls 30Km Survival Race, 7th in the 2016 Short Course OCR World Championships – and that’s just a few of Tristan’s most recent achievements – we’d list more but honestly, it would take too long, Tristan is already an OCR legend! He’s not one to rest on his impressive laurels though and, like any elite athlete, Tristan has already set his next goal – and that’s to become next Ninja Warrior UK Champion! Expect to see Tristan around the place, honing his skills on the Ultimate Ninja UK course, marshalling or sharing some of his immense OCR experience at one of our OCR Ninja Bootcamps… and if you do see him, prepare to be inspired – he’s the best, training at the best place to train – Ultimate Ninja UK.